Look for an expanded schedule of live video chat from our team of six ‘Buffs. I’ll be starting off the new program 05/03/10 with my time slot every Monday night, 7-10pm PST. 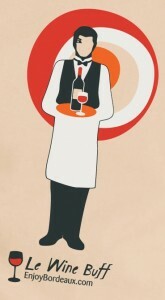 If you need a refresher, check out this great intro by new Le Wine Buff Megan. Simply sign up and become a member to participate in any of our video chat sessions. You can follow the Twitter feed of with the hash tag #LeWineBuff. The team at Enjoy Bordeaux has also been hard at work to greatly improve the wine search engine on the site, where you can now search by wine name, region or key term and find where to buy those tasty wines near you or online. In addition, we’ve also teamed up with the Bordeaux Wine Council to film short tasting videos of every single one of the Today’s Bordeaux 100 Top Affordable Bordeaux wines for 2010. Our Events section has also been expanded to include all of the many events featuring Bordeaux wine across the US. 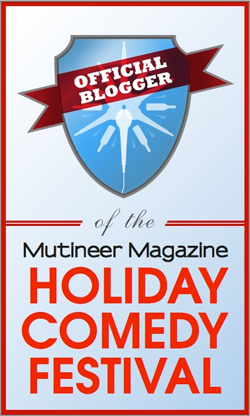 If you have an event that you’d like to post to the site, feel free to contact me and I can help get it posted. 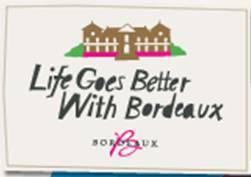 Lastly, but maybe personally most excitingly, all of Le Wine Buff’s will be traveling to Bordeaux for a week in June to become fully immersed in the Bordeaux wine culture. We’ll be filming new video and live chats, interviewing winemakers, sommeliers and other Bordeaux wine phenoms in order to best be able to help you find the Bordeaux wines and info that you need! I look forward to chatting with you live online…cheers!